Selected in the 40-40 Club (2010). Recognizes young Hispanic leaders in the Cleveland community. 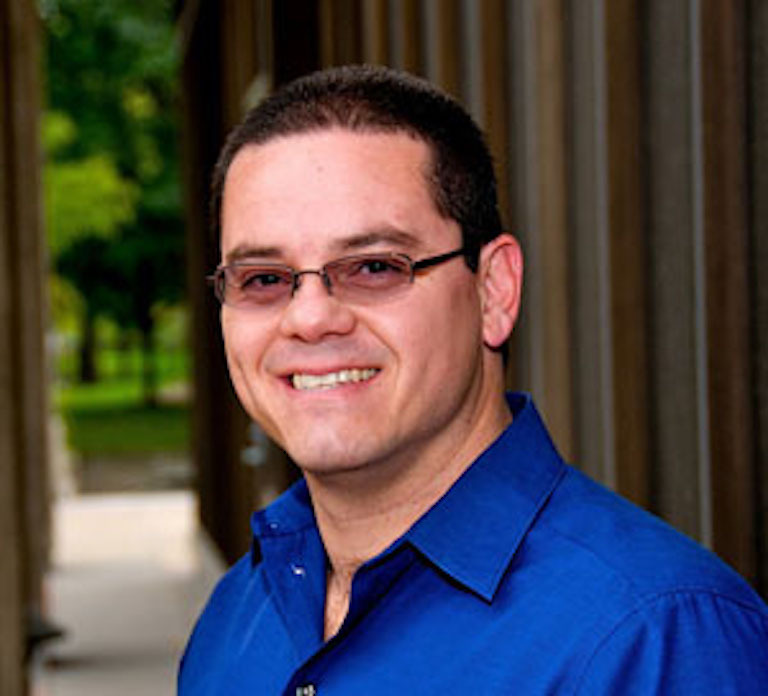 Frank Hovorka Assistant Professor of Chemistry, Case Western Reserve University (2012 – 2015). NSF Faculty CAREER Award (2013-2018). Carl Storm Underrepresented Minority Fellowship for oral presentation. 2013 Gordon Research Conference on Photochemistry. Member of the American Chemical Society Canvassing Committee for the Ahmed Zewail Award in Ultrafast Science and Technology (2014-2015). Chair of the American Chemical Society Canvassing Committee for the Ahmed Zewail Award in Ultrafast Science and Technology (2016-present). Guest Editor for a high-profile Special Issue on “Experimental and Computational Photochemistry of Bioorganic Molecules” published in the journal Molecules as part of its 20th Anniversary (2016-2017). 2016 John S. Diekhoff Award for Distinguished Graduate Student Teaching, Case Western Reserve University. Elected Member of Council of the American Society for Photobiology (2016-2020). 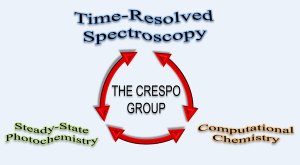 The Crespo research group focuses on probing and understanding light-induced phenomena in molecules and polymers in solution. There are three major areas of ongoing research: (1) excited-state dynamics and photochemistry of DNA/RNA nucleobases and nucleobase derivatives; (2) design and study of modified sensitizers for photodynamic applications; and (3) excited-state dynamics and photophysics of organic and bioorganic molecules, including B vitamin complexes and pterin derivatives. Our group use analytical instrumentation and time-resolved spectroscopic techniques to produce specific knowledge of the factors controlling these photo-processes. Students involved in these scientific activities acquire expertise in a wide variety of analytical techniques such as high-performance liquid chromatography, circular dichroism, infra-red and ultraviolet-visible spectrophotometric techniques, and time-resolved instrumentation on time scales ranging from femtoseconds to microseconds. The experimental work is complemented with ground- and excited-state computational methods.